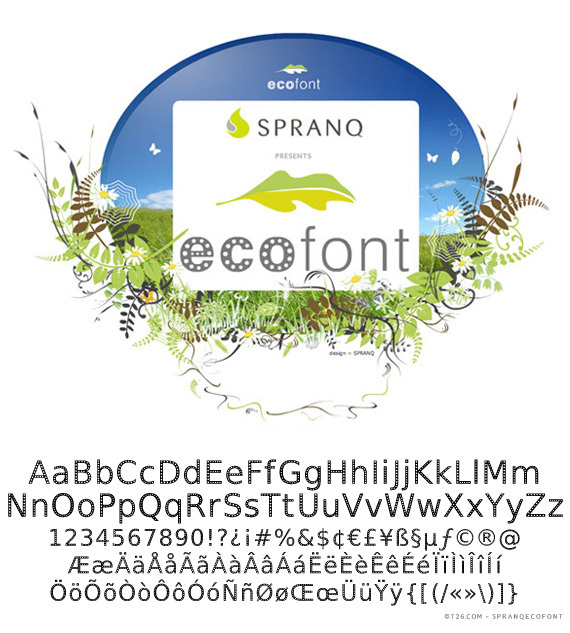 This morning, I am really inspired by the ecofont (created by SPRANQ): this font has white holes as you see and uses 20% less ink than usual. So your ink cartridges (or toner) could last longer. I might start using this font for my estimates and invoices… what a smart idea! It is totally ledgible, nice sans-serif font, too. Available from T26 here or ecofont website here. Enjoy and save ink!